My husband won a trip to Pebble Beach, California and I was fortunate enough to be able to join him. 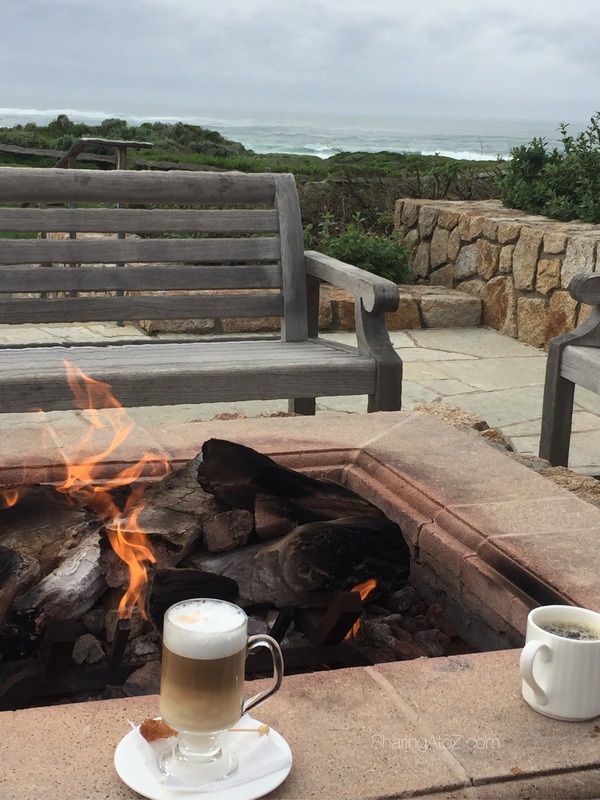 I’m sharing our trip to Pebble Beach in hopes to help any future trip planning for our readers. 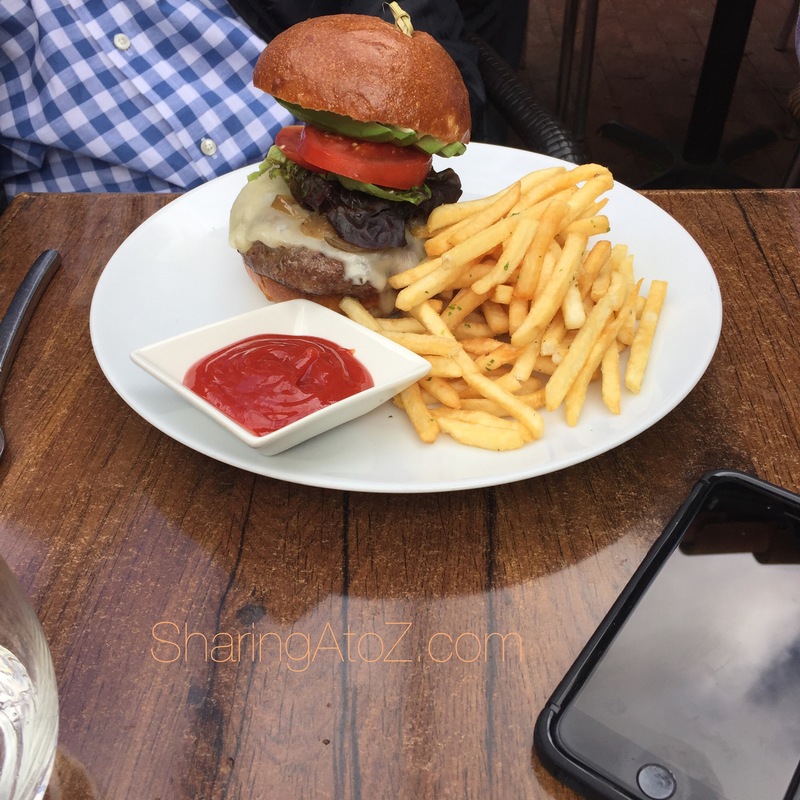 If you are planning a trip to California, you may also enjoy these posts: Central Coast (coming soon) and Napa. We flew into Monterey airport and took the complimentary shuttle to The Inn at Spanish Bay. After we checked in and freshened up, we relaxed and enjoined the beautiful view. Then, we took a taxi into Carmel. 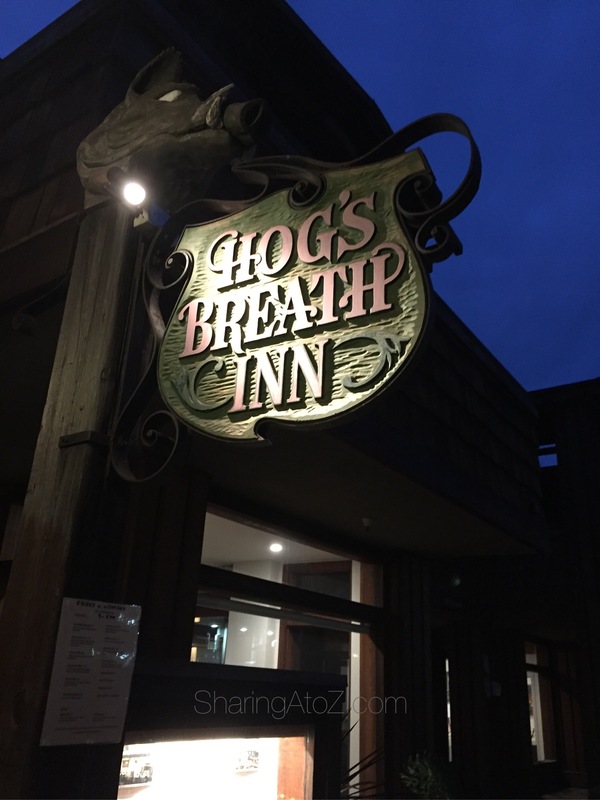 We visited Hogs Breath, which used to be owned by Clint Eastwood. 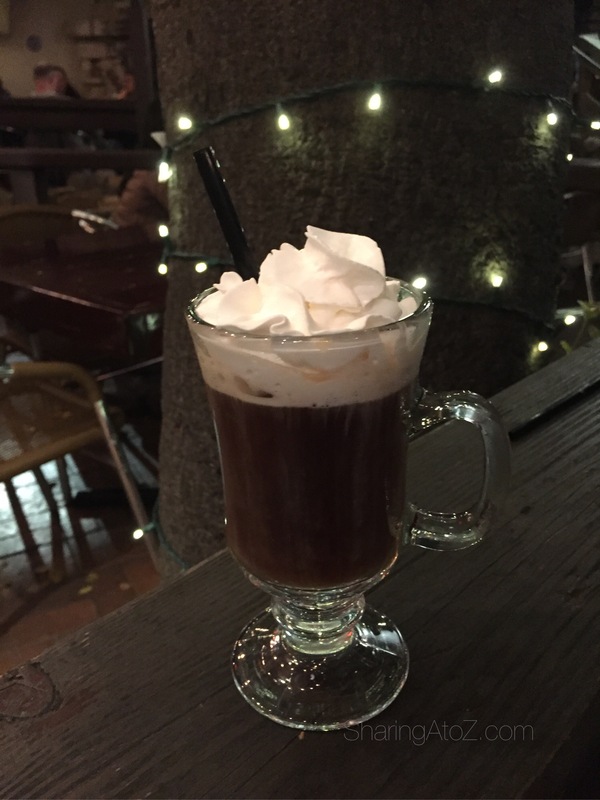 They had amazing coffee drinks! 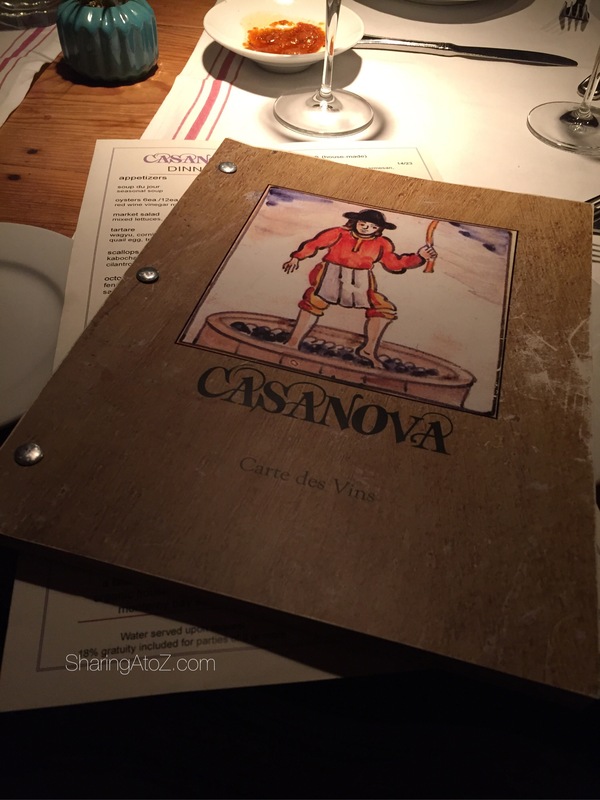 Next, we walked down the road to have dinner at a quaint restaurant called Casa Nova. They had an 134 page wine list and amazing Italian food. We had a free day, so we took advantage of the free exercise classes at the Inn at Spanish Bay. There was only one other person in the class, so it was like our own little mini-personal training session. After starting our day with a nice workout, we had some free time before the work dinner later this evening. 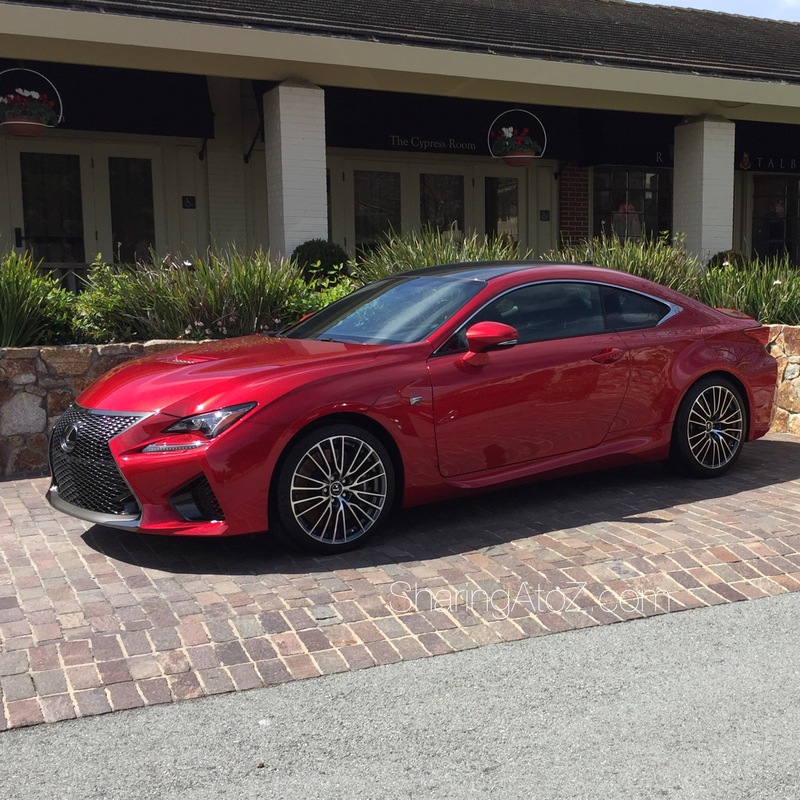 The hotel is sponsored by Lexus, so we were able to test drive this beauty down 17 mile highway! 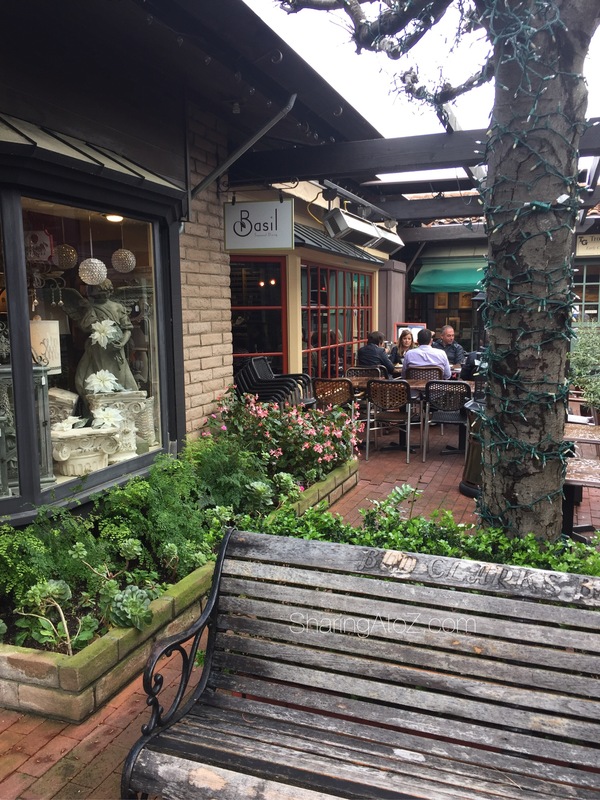 We became friendly with a local in our workout class and she recommended lunch at Basil or Luca. We chose Basils and were not disappointed. From the gnocchi appetizer to the grass-fed burger or fish soup, our taste buds were delighted. We worked off our lunch by walking down the hill to the beach (and back up). It was not like the beaches we are used to in Florida, but it was amazing. The waves were rough and there were lots of large rocks. The water turned turquoise when the rough waves crashed and there was greenery all around. We went in March, which is their rainy season and also technically winter. But from what I gathered from the locals, it is always around 60 to 70 degrees here. Today, some people golfed Pebble Beach while some, including me, enjoyed The Spa. 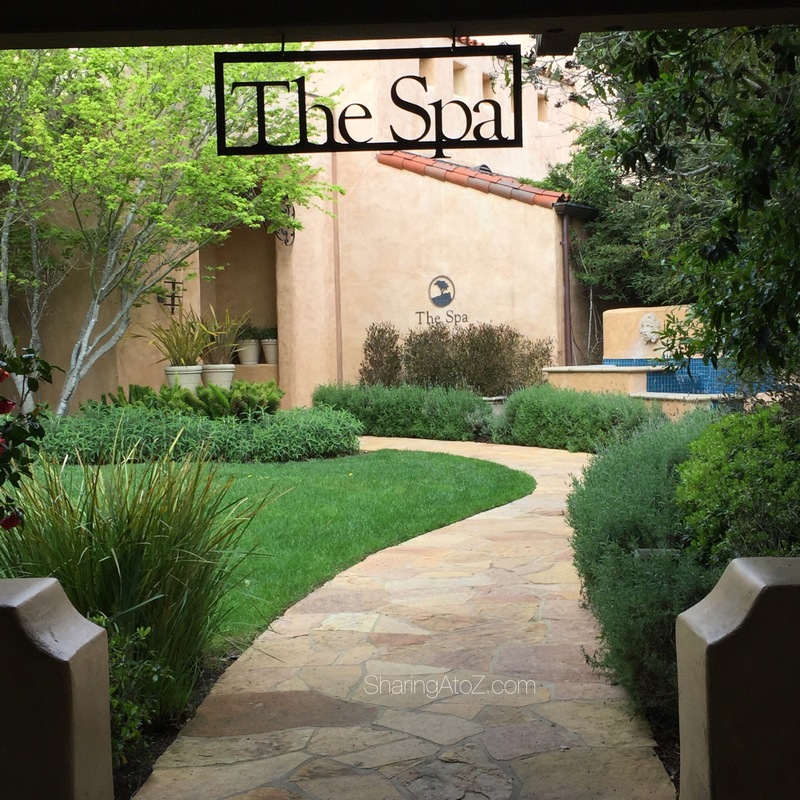 The Spa was beautiful and had various amenities to enjoy. There was an eucalyptus steam room; a dry sauna and scented relaxation room. After my massage, a few friends and I took the scenic drive down there 17 mile coastal road. 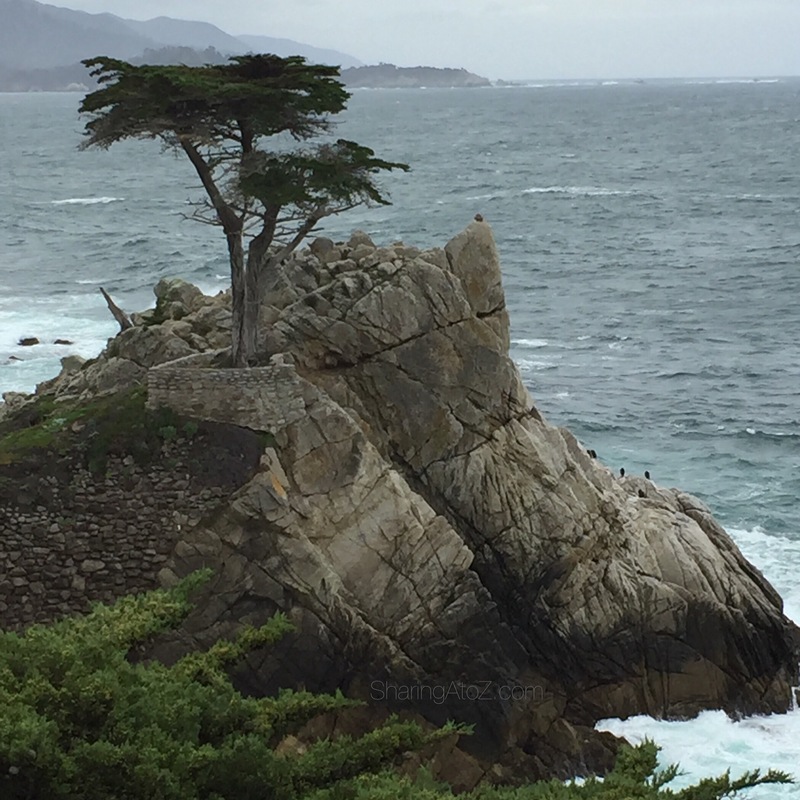 There we saw seal rock and the Lone Cypress. We flew out of Monterey on our way home. While we didn’t have any delays or issues. Many of our friends drove 1 1/2 hours to the San Jose airport because of this. 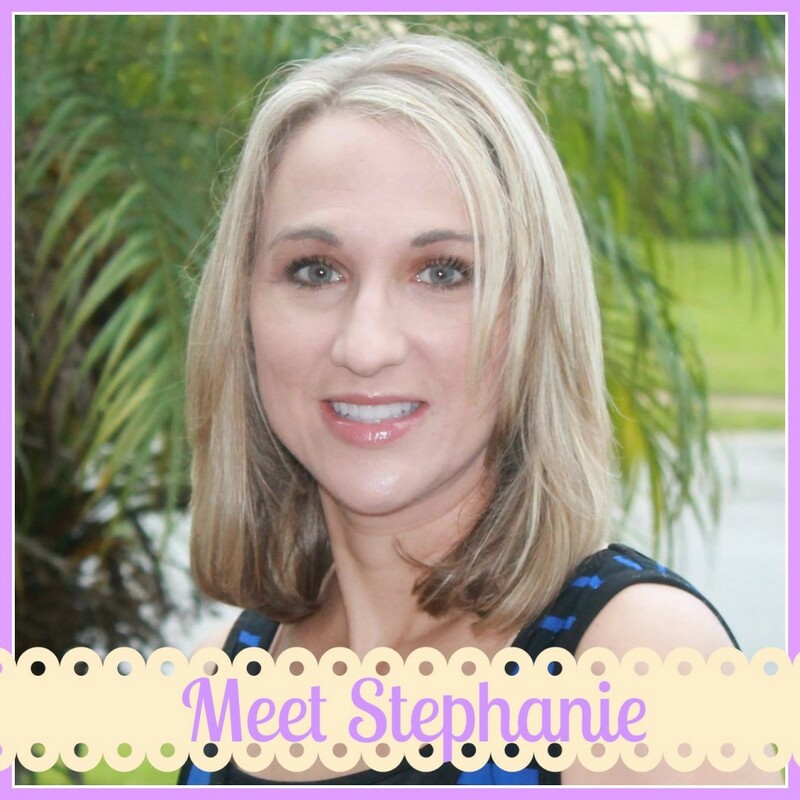 I hope our trip will help you when traveling to the lovely state of California. 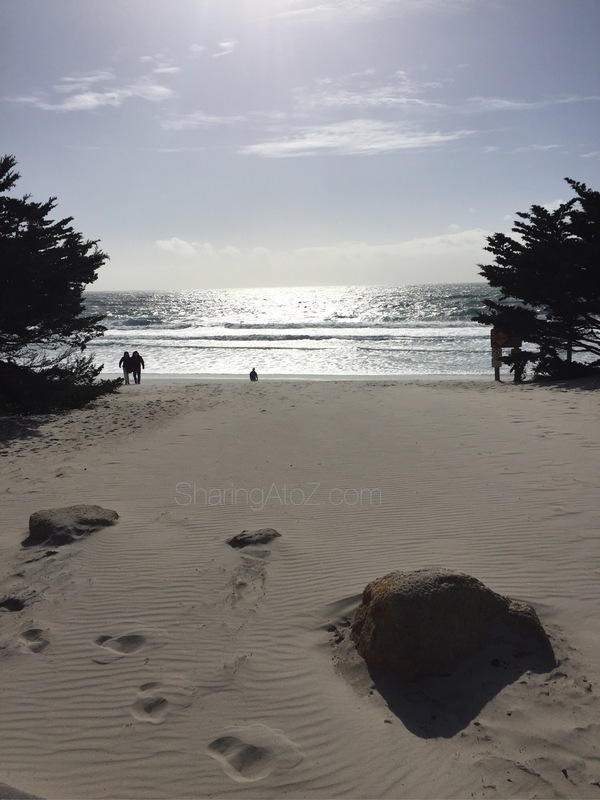 Have you been to the Pebble Beach area? If so, what did you like best? 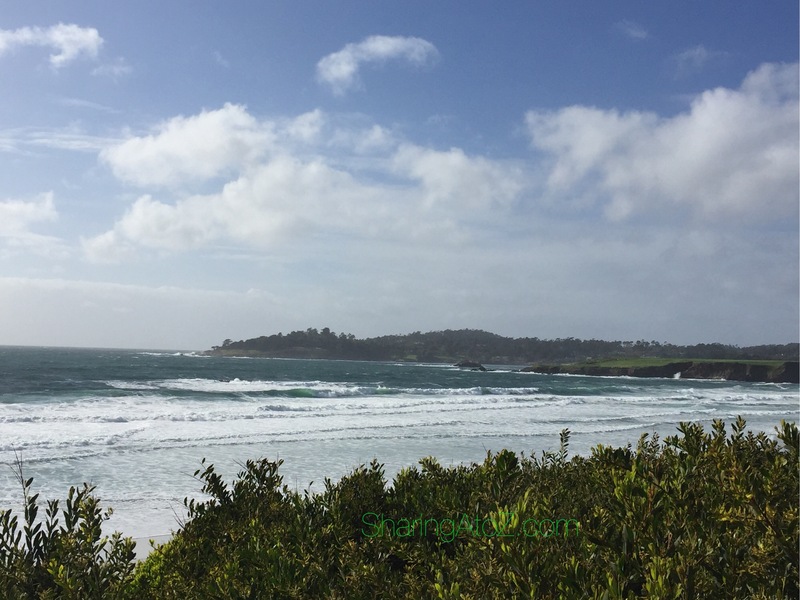 This entry was posted in Travel and tagged 17 mile highway, Basil, cali, California, Carmel, Casa Nova, Hogs Breath, Inn at Spanish Bay, Pebble Beach, the Spa, Travel.